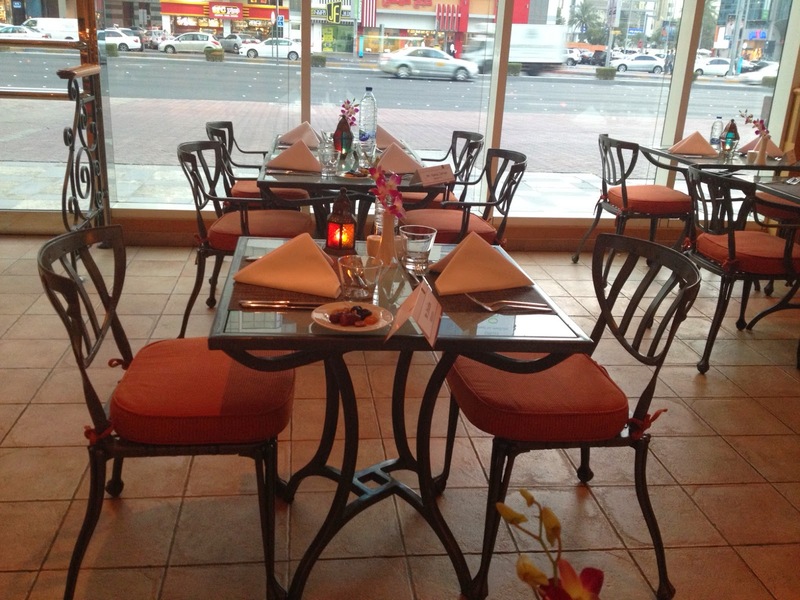 The iftar, served in their all day dining City Cafe restaurant, is not large but I am pleased with what is offered. 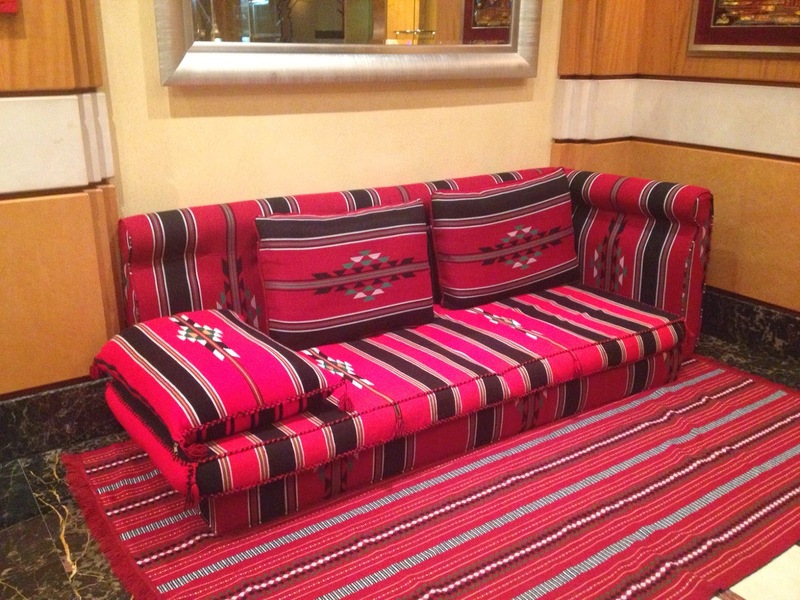 The iftar accommodates about 70 people, so it is quite small, but with definite advantages to be highlighted later. The restaurant's decor is dated, but I am told the restaurant will close after Ramadan for a refurbishment. Nonetheless, the huge windows afford us a view of the lively Hamdan street downtown. 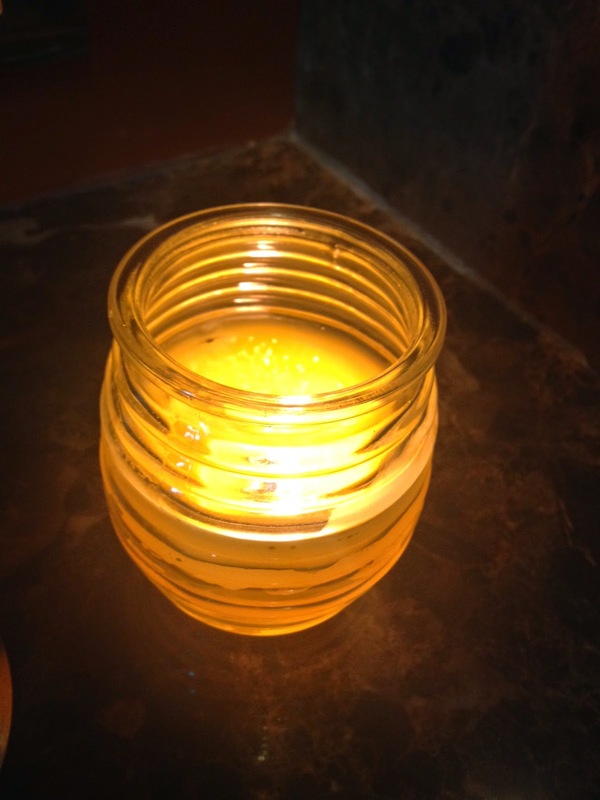 Lanterns around the restaurant create a warm atmosphere. Most of the restaurant is non-smoking, except for a small area at the entrance. I am so pleased. I am tired of restaurants pandering to a minority who insist on smoking while others, especially children, are having a meal. Well done. Simple seating creates a homely feel. On the floor I am surprised to see 4 chefs and their assistants making sure everything is in order, as we wait for the official end to the day's fasting. 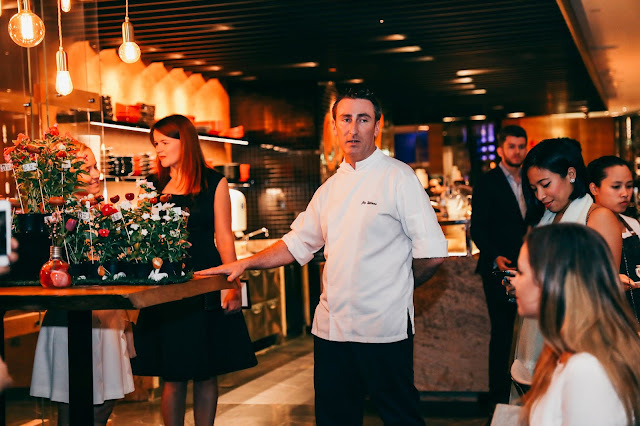 Considering the size of the restaurant, it is really something that so many chefs are out there to have everything in place. As is customary at iftars, the dishes are plentiful. Despite the small floor space that is occupied by the buffet, it is a fabulous spread of everything you would want and more. 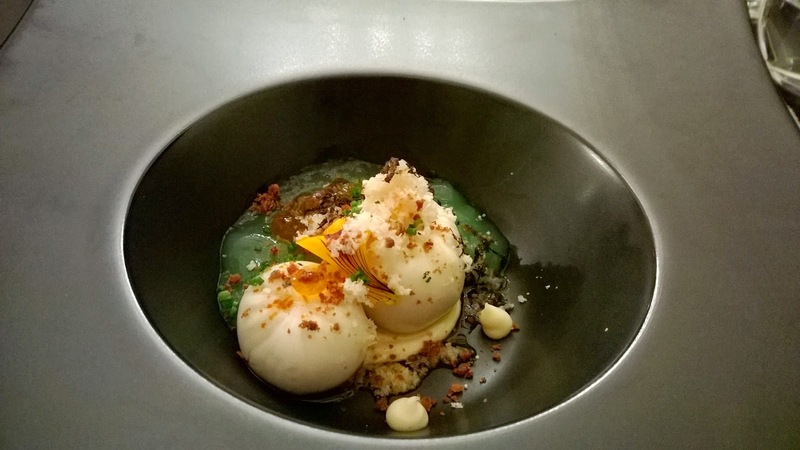 Typical Middle Eastern flavours meet a few international ones. As the end of fasting is signaled, there is a rush for the buffet. I wait a bit and observe. There are so many families here, and the chatter and laughter of children warms the heart. It is a family iftar. Nice. While I wait, one of the waitresses offers me a drink. I decline, sticking to water, but from her manner I sense happiness. That translates into good service. I smile. Finally, I go to the buffet. 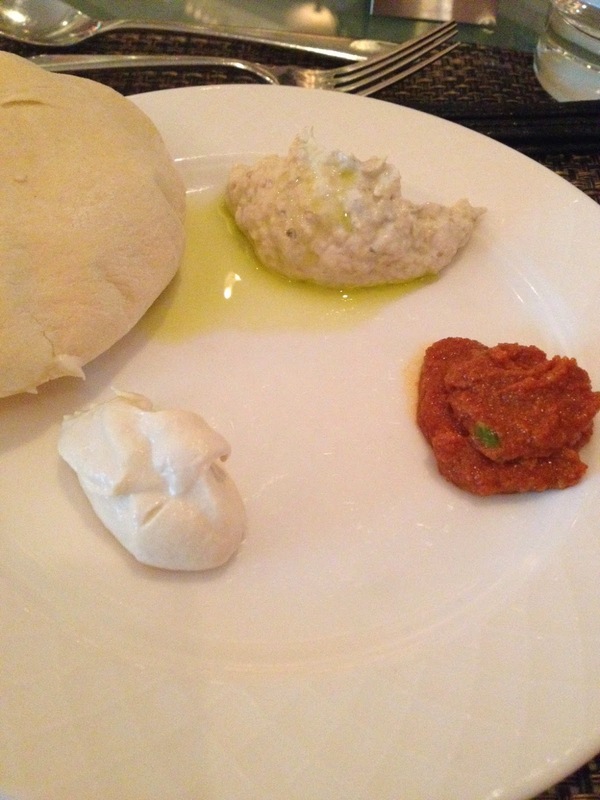 I start with a selection of mezze: moutabal, hummus and muhammara. 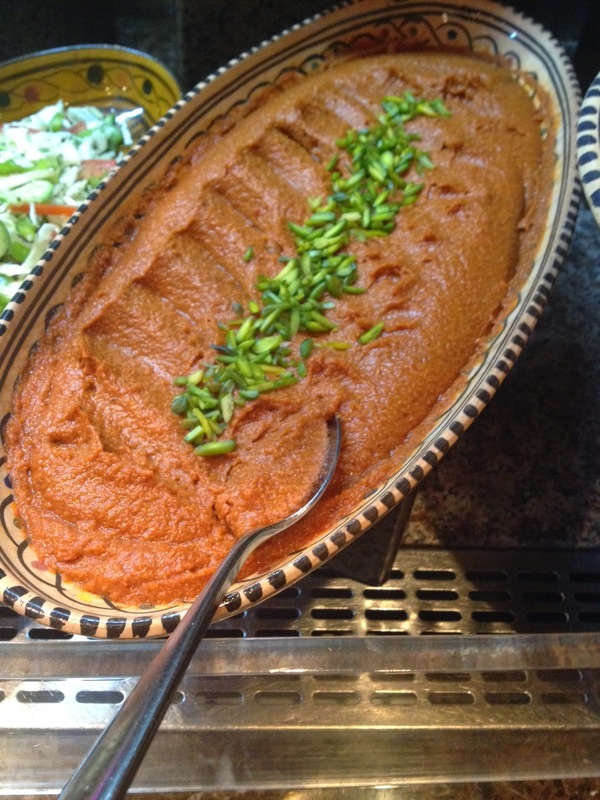 They are all so light and fresh, but early dish of the day is the muhammara. It is more spicy than normal. Fantastic. Delicious. The accompanying Arabic bread is warm and aromatic - the aroma of freshly baked bread. When one goes to a small iftar, there is a tendency to have lower expectations. However, after my cold mezze I am really pleased. There are some lovely touches indeed: all the dishes are labelled, dishes are replaced as guests finish them and the waiting staff are very good. The latter in particular gets my attention. The three waitresses I encounter and observe, smile warmly with guests and help children unsolicited. More than anything, they seem to capture the beauty of Ramadan. Next I have something I definitely did not anticipate - a simple mozzarella and tomato salad. While guests are drawn to other dishes, I have two helpings. In quick succession i try small portions of a few dishes; beetroot, fattoush and lentil soup. Very nice. 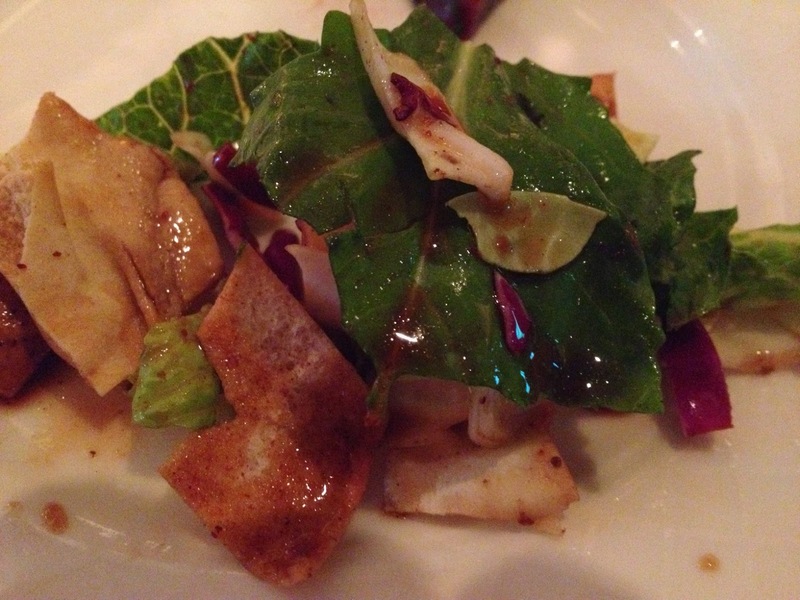 The fattoush, in particular, is so textured, and I mean more than the crispy toasted bread. As for the lentil soup, there is added pepper but its not too spicy. With a bit of lemon- yum. Unfortunately the lamb ouzi is gone by the time I want to try it - devoured by the diners. I try the seafood makboos and this is the first sour note of the evening - it is cold. I then try what turns out to be my other dish of the day: laban umm. The mint is simply gorgeous. I have two servings. 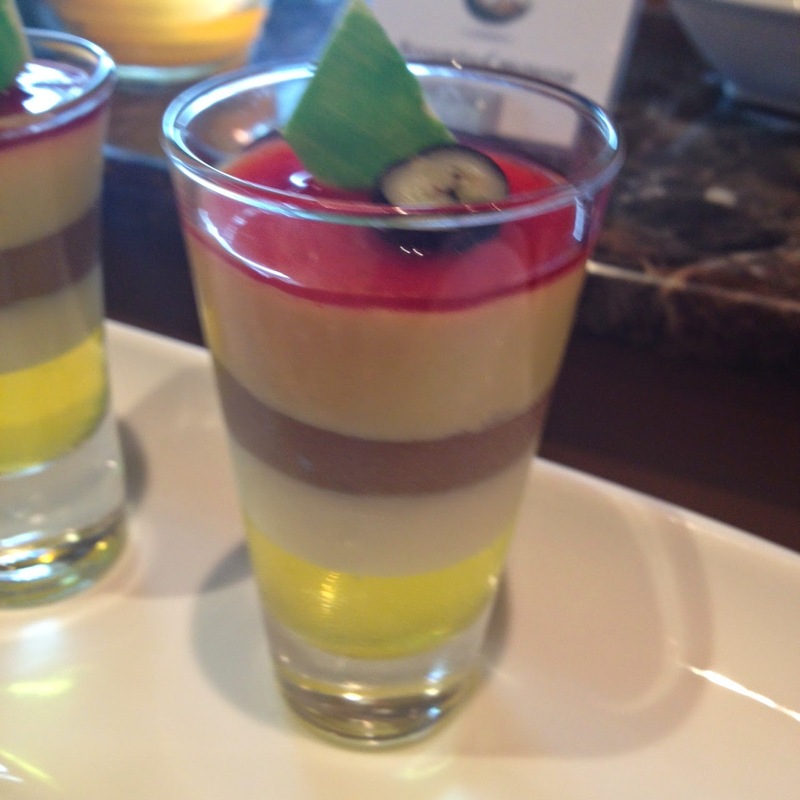 I make sure not to over indulge as I am really curious about the desserts. But it is going to be a tough decision, I see chocolate eclairs, mango mousse, baked cheese cake, chocolate cake, and others. 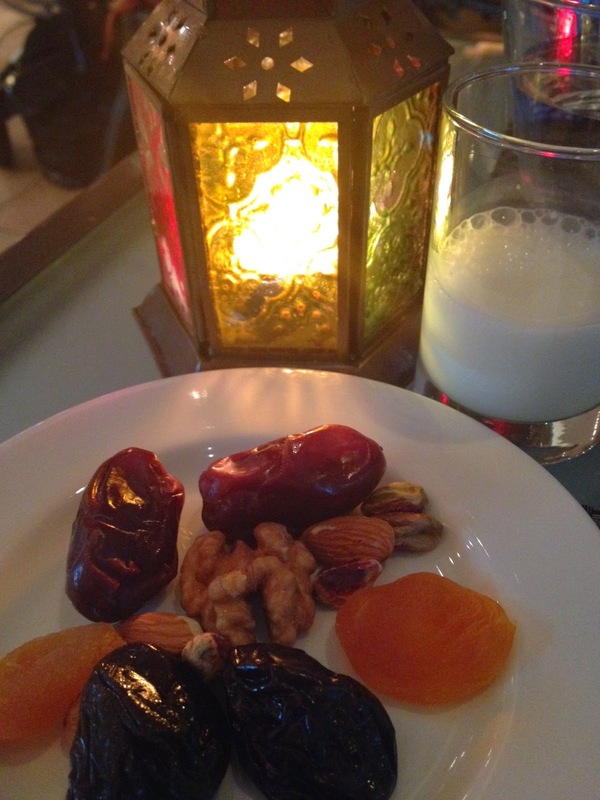 Of course, there is also umm ali, muhallaba, some Arabic sweets and fresh fruit. 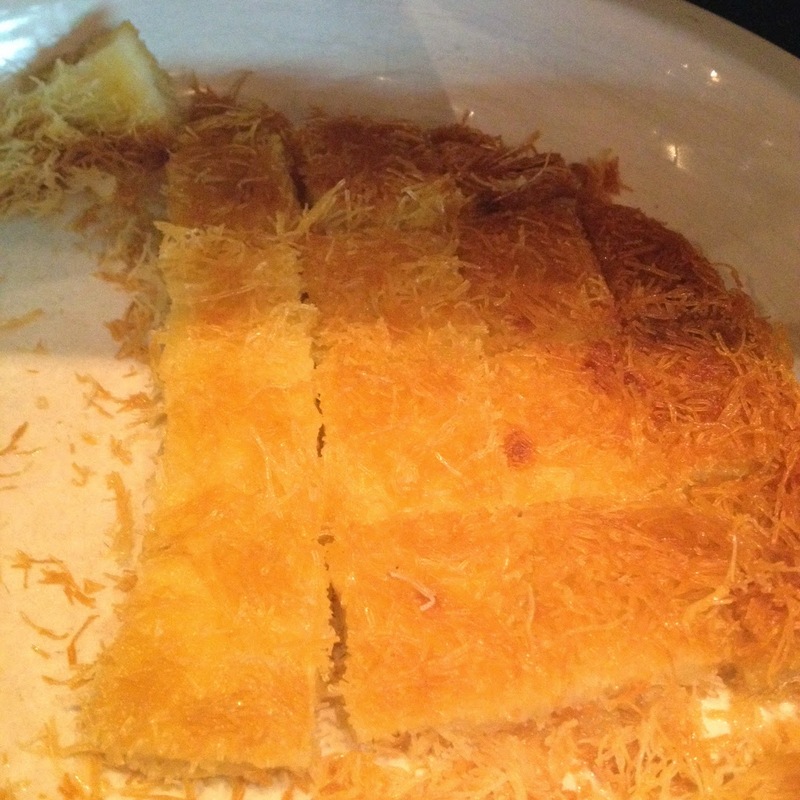 The Arabic desserts are uncharacteristically not too sweet, and I enjoy them. The muhallaba turns out to be my favourite dessert. The crunchy pistachios give it thatbit of texture. Finally, I have fruit. This is impresses me most. The fruit sums up my evening - while the selection is small, it is very good. 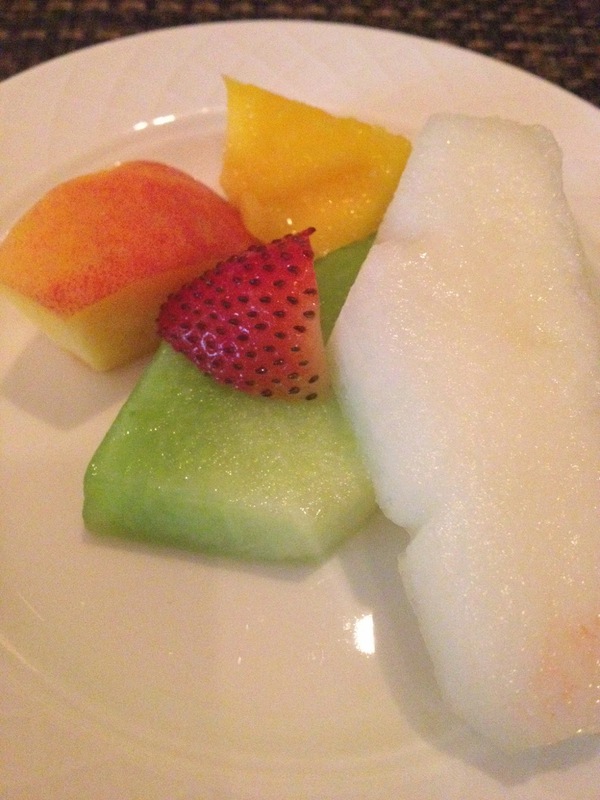 The rock melon is sweet, as is the mango. The peaches are crunchy and the green melon has it all! Again, the spirit of Ramadan. 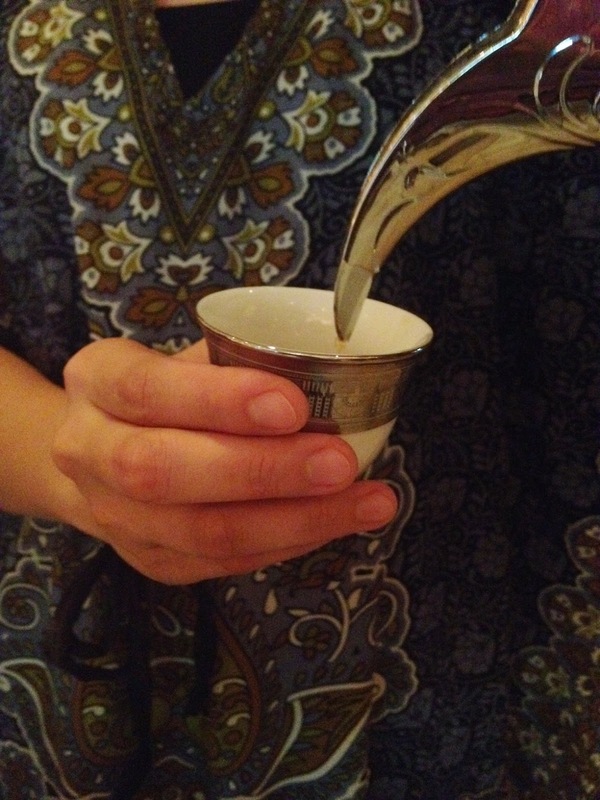 As my evening ended with Arabic coffee, it dawned on me again that there are definite advantages to smaller iftars - one of the things is more personalised attention and dishes which are more about quality and tastes than anything else. When you consider that this hotel is a hotel apartment complex with a different market to a standard hotel, it is commendable what they put out that night. Problems like over crowding at buffet I am sure will be addressed when they refurbish. But what they have in place is a group of people who care about what they do. There was so much pride on display; pride and happiness in what they do. It turned out to be a couple hours very well spent.